The Eikon consists of a turned ash wooden head and a removable, interchangeable metal shade. The lampshades are powder coated and can be attached with magnets. At first sight the Eikon appears as a completed design, a light which connects esthetics and minimalist structures. But it is more than only “one“ light. With its hidden magnet system it unifies numerous different lights. 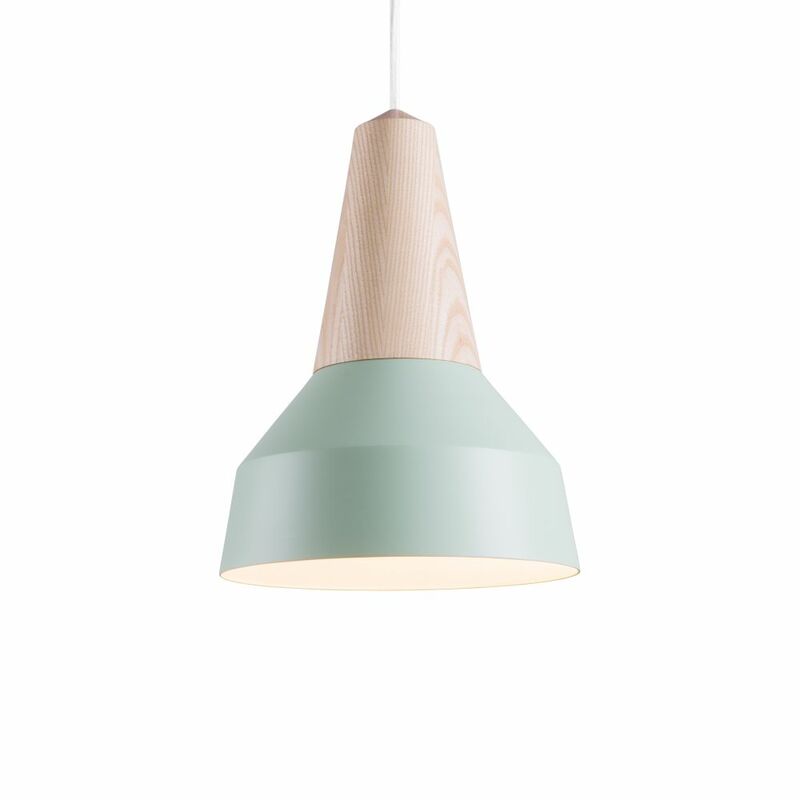 With only a small grip the lampshade can be changed and another color or shape can be installed. This modular and flexible system can help to rearrange a room again and again according to requirements. 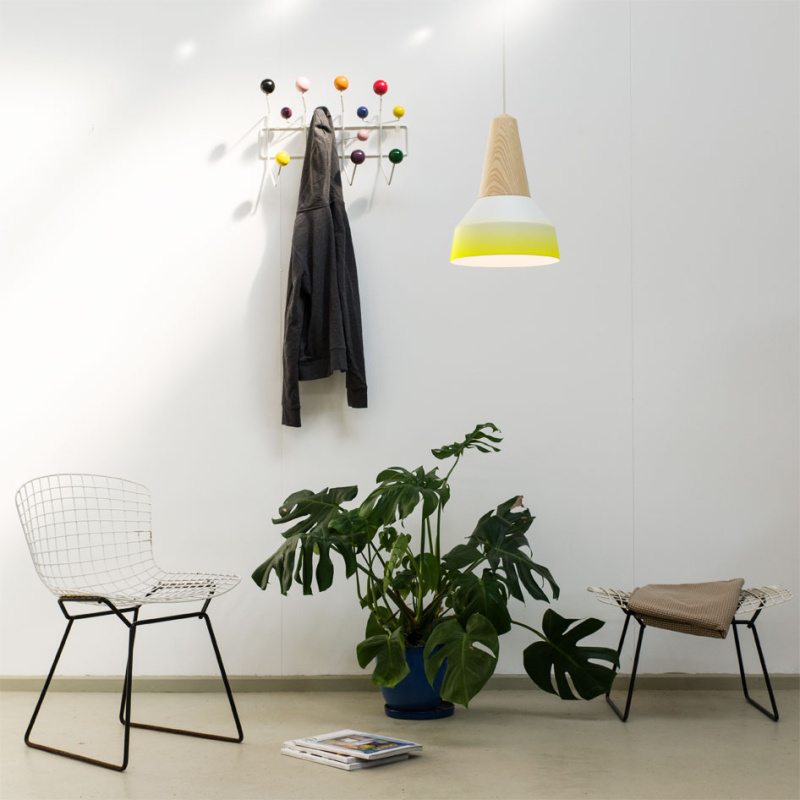 Particularly for living in small spaces, this changeable light is a big win since its function is always adaptable. Also for the interior of bigger spaces, like salesrooms, hotels and restaurants, the light offers a high degree of variability. For their common basic model different colors and shapes can simply be combined. The exchangeable lampshade can redesign the home or the public room with little effort decisively. Having ‚Schneid‘ is the german equivalent to ‚being bold‘, which is what puts the essence of our philosophy in a nutshell. Schneid Lighting & Furniture strives for enduring and elegant products which are mindful and meet the modern Zeitgeist in a courageous way. Using natural raw materials, striking colors and bold shapes we create mood and atmosphere. We believe in sustainability and are dedicated to solid craftsmanship. This is why we support local manufacturers, keeping delivery routes short and work together with people who are practicing their jobs with passion, just as we do.